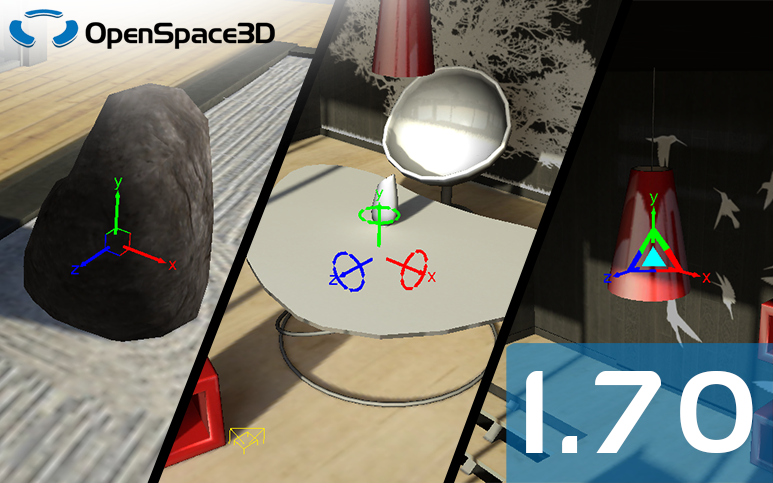 New templates have been added, making some functionalities easier to access ! The “360” templates allow you to display a 360° picture or video in the 3D world, while the new “AR” templates provide the basic tools to use augmented reality in your applications. You can also learn to use a database to store score, positions and many other things thanks to the “database” templates “sqlite” exemple. 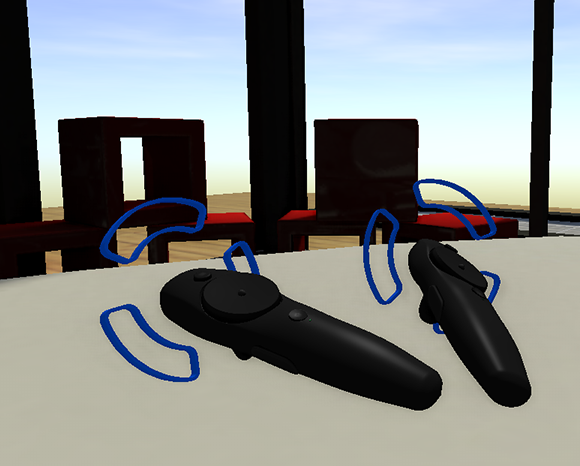 Finally, a template with generic VR controllers and a template providing a 3D mouse cursor also have been added. 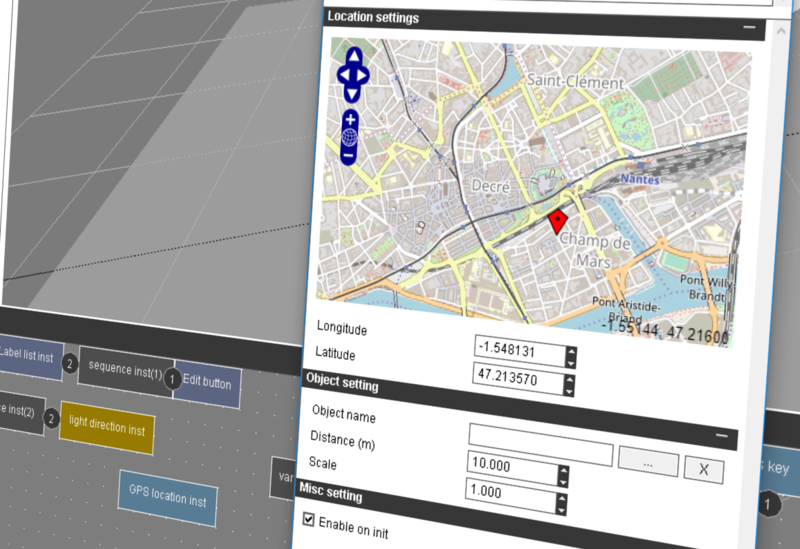 OpenSpace3D 1.70 introduces the “GPS location” plugIT, allowing to get the GPS coordinates of the device and to link a 3D object to a specific location in the real world. The new “Input mixer” plugIT also comes with this release, allowing to combine the outputs of several plugITs in a single one to provide more possibilities with and ease link parameters handling. The latest interface plugITs were revised too to offer better readability, smaller margins and still more options, making for clearer and less cumbersome interfaces.